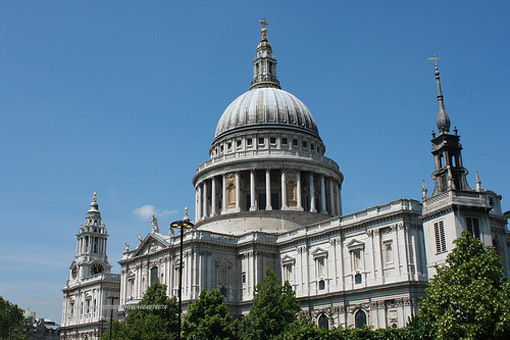 Here in its foundations lies the architect of this church and city, Christopher Wren, who lived beyond ninety years, not for his own profit but for the public good. Reader, if you seek his monument – look around you. Sir Christopher, you were born on 20 October 1632, I understand. Could you please tell us a little more about where you were born and about your education? I was born in East Knoyle in Wiltshire where my father was rector. We moved to Windsor some time afterwards. After a short period at Westminster School, which I left at the age of 14, I worked for Sir Charles Scarburgh as an anatomy assistant and Latin translator before going up to Wadham College, Oxford two or three years later. I graduated in 1651. And your MA followed shortly? I received my MA in 1653 and around the same time was elected a fellow of All Souls and undertook research. In 1657 I was appointed Professor of Astronomy at Gresham College, London. How did the Royal Society come to be formed? I met regularly with a group of philosophers and scientists whilst at Oxford. The same group attended my London lectures and this was formalised in 1660. The Society was formalised in 1662 and Charles II gave it the Royal Charter. That was shortly after you were appointed Savilian Professor of Astronomy at Oxford? Yes, in 1661. I held the chair until 1673. During that period I drew up plans for long term weather forecasting, but I understand they were not realised for another 300 years. Your very many studies included physics and engineering? Indeed, and I believe these led to my interest in architecture. Yes. I was asked to design the Sheldonian Theatre in Oxford and a chapel for Pembroke College, Cambridge. You rebuilt part of Hampton Court Palace and then came the Great Fire that ripped the heart out of London. London was undoubtedly a fire hazard at that time with so many wooden buildings and so much congestion. We hadn’t really learned from the fire in 1632 and the narrow streets and overhanging jetties were dangerous. It had been a long hot summer before the fire started in a bakery in Pudding Lane. Within the space of four days two thirds of London had been destroyed. Were you asked to submit a plan for redesigning the capital? I was, but it was not adopted. I believe it would have been the envy of Europe. My mathematical plan encompassed broad avenues and would have been a startling contrast to that which existed before. Where did you gain such a thorough understanding of architecture? I acquired a thorough understanding of modern construction and design when I visited Paris. It seemed to me that architecture was more than a set of design formulas and rules; they also needed to be supplemented by intuition, imagination and experience. Which leads us on to St Paul’s Cathedral. I had been involved with the repair of the old building from 1661. I was already working on the design for the dome before the Great Fire. Work started in 1675 but was not completed until 1710. Didn’t you also play a part in the erection of the Monument to the Great Fire? Together with my friend, Robert Hooke. We designed and made it of such a height that it marks the distance from Pudding Lane where the fire commenced. In 1673. By then I had started to play a part in the rebuilding of London after the fire. I rebuilt 52 churches that had been destroyed. It wasn’t until 1669 when you were 37 years old that you married for the first time? I married Faith who bore me two children. Gilbert died when he was a little less than eighteen months old, but Charles Jr survived and I later trained him to become an architect. We had hardly been married for three years when Faith contracted smallpox and died. Less than two years’ later I married Jane. We had a daughter, Jane, and William (a sickly child). Jane contracted tuberculosis and died in 1680. So although I lived to a great age, I was married but a few. Would you tell us a little more about your architectural works? There were so many. 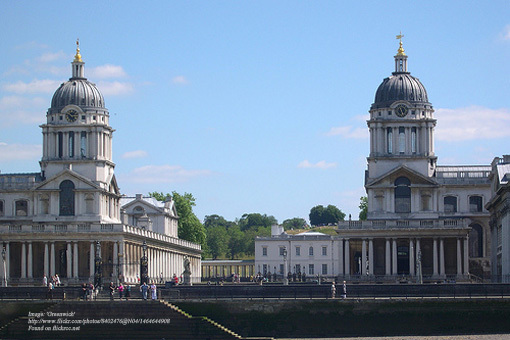 They included the Royal Observatory at Greenwich and the library at Trinity College, Cambridge. I would place those among the most important. There were also the Chelsea Hospital, and the state room at Windsor Castle. There is more to know about your scientific interests, isn’t there? During my time at All Souls I built a transparent beehive for scientific observation. Around that time I also started to observe the moon. I was also able to improve the performance of microscopes around then. I had been endeavouring to explain the appearance of Saturn from my own observations, but having seen Huygens hypothesis I felt it was superior to my own and my writings were not published. My works were many and varied. I studied light and its refraction, water and freezing, agriculture and much else. At the end of your life, your family estate was in the Hampton Court area? Yes, but I also leased a house in St James’s Street. I liked to wander along to St Paul’s to see how things were progressing. One day I caught a chill and within the space of a very few days my health deteriorated. On 25 February 1723 one of my servants discovered that I had died in my sleep. Your remains lay in the south-east corner of the crypt of St Paul's alongside certain other family members. And now, almost 300 years later, your major works still dominate the London skyline? I humbly acknowledge that to be true.